to day nature observations. It's a classic American summer read. Naturalist, philosopher, champion of self-reliance and moral independence, Henry David Thoreau remains not only one of our most influential writers but also one of our most contemporary. 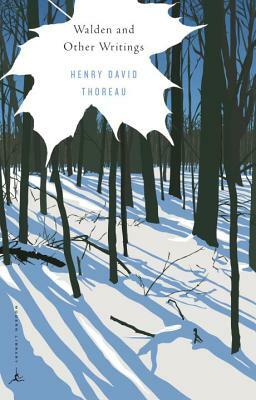 This unique and comprehensive edition gathers all of Thoreau’s most significant works, including his masterpiece, Walden (reproduced in its entirety); A Week on the Concord and Merrimack Rivers; selections from Cape Cod and The Maine Woods; as well as “Walking,” “Civil Disobedience,” “Slavery in Massachusetts,” “A Plea for Captain John Brown,” and “Life Without Principle.” Taken together, they reveal the astounding range, subtlety, artistry, and depth of thought of this true American original. Ralph Waldo Emerson (1803–82), influential essayist and philosopher, was one of the architects of the transcendentalist movement and a close friend and mentor to Thoreau. "This book is like an invitation to life's dance."